Get ready for the fastest snow on Earth! Just add water and watch in jaw-dropping delight at how fast it grows. Make Speedy Snow in any temperature or climate! Make it in a bowl, in a hat, or in your hand! 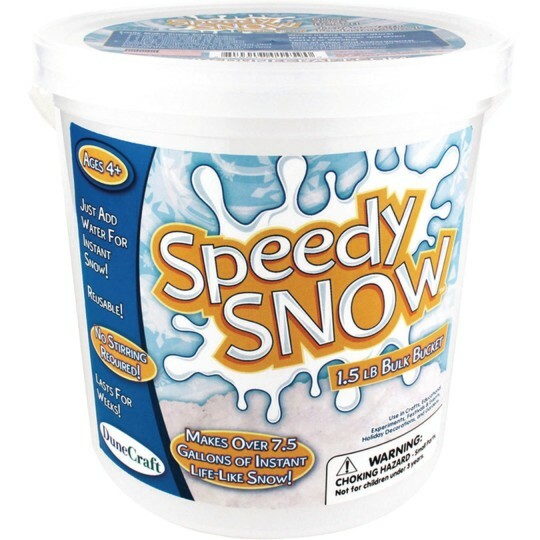 Speedy Snow expands as it absorbs water and forms life-like snow. It lasts for weeks without rehydrating. Grows 200x its size! No stirring and reusable. 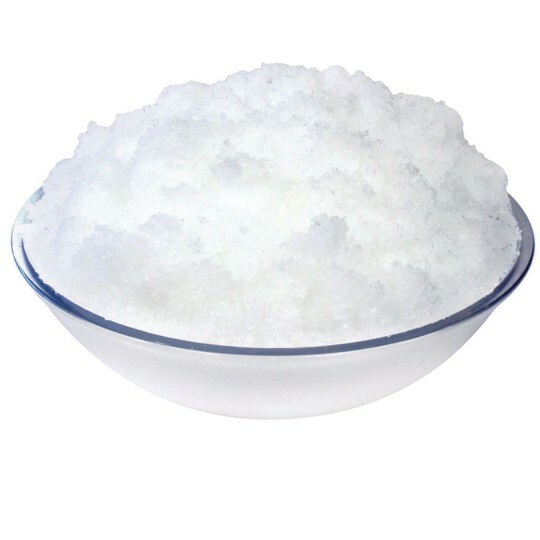 This item is equal to 24 ounces and makes approximately 7-1/2 gallons worth of snow!